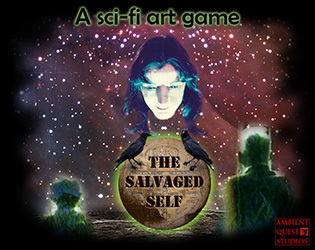 An art game meditating on life, death and consciousness. A journey into space through a fragmented memory palace. An illustrated interactive prose poem of ambient moments. Salvaging of self through the voice hidden in photomontages. City Block Cats: neighbourhood cats compete for territory in a moonlit city block. A new game of feline relationships currently in development that features ambient gameplay mechanisms. Alpha version available to download for PC and Android. Rokolector is a re-imagining of the classic Asteroids arcade game, available for Android devices. Find out more about ambient gameplay here: Mark Eyles' website. Please contact Mark Eyles with any thoughts or observations on ambient gameplay. Research into ambient games is continuing at the University of Portsmouth. Mark is an educational advisor to TIGA. He was a Principal Lecturer and an Animation, Games and Enterprise Section Lead in the School of Creative Technologies in the Faculty of Creative and Cultural Industries at the University of Portsmouth lecturing in game design and development 2003 - 2019. Before joining the university he spent 22 years working in the games industry, from 1981 to 2003. He was a founder of the Advanced Games Research Group in 2006.